Serving your customers from clean foodservice areas is priority number one. Your walk-in cooler, grill, fryer, and sundry equipment used for service need to be cleaned periodically. This will ensure that no bacteria or harmful chemicals find their way into your customers’ food. A small- or medium-sized restaurant can capitalize on the shoddy cleaning behaviors of larger chain brands by guaranteeing that these key areas are cleaned thoroughly, efficiently, and often enough to ensure that all food stored or cooked there is 100% safe to consume. One of the most critical areas that need to be cleaned lies in your walk-in boxes and freezers. Aside from the satisfaction that you will get knowing that your customers are consuming healthy, clean food, your restaurant will not be penalized by a health inspector the next time they drop by for an unexpected visit. How exactly do you ensure that your walk-in areas are ultimately clean? 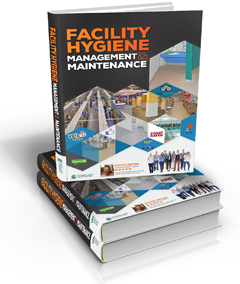 In the Facility Hygien Clean Method, there are four steps to a perfectly clean walk-in. Step 1: Clean the floor first then move the food off the shelves. Step 2: Use soap, water, and disinfectant. Step 3: Treat moldy surfaces with anti-mold. First make sure that your floors are spotlessly clean by using the right floor cleaner. First wash them, then disinfect them for extra punch. Unpack your shelves, sorting the good food from the food that has turned bad. You should have two piles by the end of this process. Once your shelves are clear, wash them with soap and water, scrubbing with a stiff bristled brush. Be careful of using chemicals on any metallic surfaces as they could corrode over time. At least twice a year wash your evaporator and your condensing coils. Make sure that your walk-in drain lines are cleaned at least once a year. When you have finished washing these surfaces, wipe them down with a soft sponge and some disinfectant to kill any remaining germs. Repack your shelves with the good food. If you have noticed any mold in your walk-in, you will need to treat that area with anti-mold, scrubbing it with a stiff-bristled brush until all the mold is gone. Add the treatment after this to make sure that it does not come back. Once you have repacked your shelves and treated the mold, you should be left with the old, outdated food lying neatly in a pile. Throw this food away. Periodically doing this once a week will ensure that no rotting or moldy food will contaminate your food stores. If you have sundry containers in your walk-in, make sure that you unpack them and clean them thoroughly at the same time, treating them as additional shelving. Any boxes should be unpacked and thrown away.